Freshman Alyssa Embry and her brother, Undergraduate Alumnus and Graduate student Brendon Embry stand together on College Green. Their parents also graduated from Ohio University. Courtney Gibson has a long family history at Ohio University. Multiple generations on both sides of her family attended OU, including her grandmother, who was a school nurse. “When she died of cancer, the university planted a tree in my grandma’s honor,” Gibson, a freshman studying psychology, said. This weekend, alumni will come to Athens and see the places where they share so many memories. For some, they will be visiting other family members who are new Bobcats — sharing memories, going to their favorite food places and giving them advice to help make their adventure at OU one to remember. Both Gibson’s parents attended OU for their undergraduate degrees. Her mother studied business; her father studied history. Her decision to attend OU was partially influenced by her ties to Athens. Now, she’s completely happy with her decision. Gibson added her parents shared the same excitement for her. Like many other parents, Gibson’s will visit the campus for Homecoming weekend, where they’ll recap memories from their time in Athens. Aidan Crowl, a sophomore studying electrical engineering, said his parents attended OU to obtain their graduate degrees, but his grandparents also have links to the university. 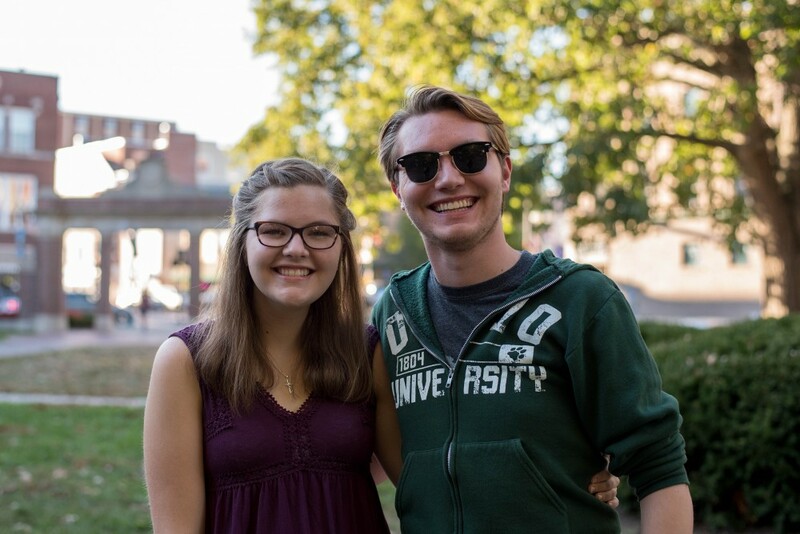 “My grandparents both taught at (OU) in the English department, so my family’s connection to Athens was already much deeper than my parents attending school here,” Crowl said. Crowl said he was unsure about attending OU because of his family’s background in Athens, but he does not regret his decision to remain in Athens. His parents and grandparents both still reside in the area and said they will be around for homecoming weekend, a festivity Crowl recalled attending with his family in past years. “When I was younger, my dad would always put me on the back of his bike for the Homecoming parade, and we would follow the Marching 110,” he said. Her family will be one of the many people coming back to Athens for Homecoming because it is her parent’s favorite place to visit. Just like her parents, Embry has grown to love OU and knows it was the right decision to attend.